Born on the 17th of September 1950, Narendra Damodardas Modi is the full name of the present prime minister of India. He was born in Gujarat and as a child, he was a tea seller helping his father. As early as eight years old, Narendra Modi came in contact with the political party called the RSS. He became its full- time member in the year 1971 and that is the time when he also moved to the city of Ahmedabad. Modi has time and again proved to be a great leader and has shown his great leadership skills not only as the present Prime Minister of India but also as the Chief Minister of Gujarat. He has a number of awards and accolades to his name. In 2007, Narendra Midi was named as the Best Chief Minister as part of a survey conducted by India Today. Not only that, the man was awarded the title of “Indian of the Year” in the year 2014 by CNN-IBN. Besides, he is amongst the 13th most influential people in the world today. These are just a few of his achievements. Modi has his own share of followers but is not devoid of detractors too. He is almost towards the end of his first year in office as the Prime Minister and whether or not he is re-elected for a second tenure is required to be seen. In this article, we shall discover more details about our Prime Minister and deep dive into the life of Narendra Modi. We shall also look into the educational qualifications, the career, the achievements, and Narendra Modi as the Prime Minister of one of the most popular developing nations of the world. The third amongst the six children, Narendra modi was born in 1950 in Gujarat. The name of his father was Damodardas Mulchand Modi and Hiraben Modi is his mother. He actually belongs to the other backward class category of family. Modi’s father had a tea stall and he helped his father in the family business of running the tea stall. Modi even had a tea stall in the railway stations and bus terminus which was run by him and his brother. Just after completing his high school, Narendra Modi was engaged to a girl named Jashodaben Modi. However, the young Modi was not interested in marriage at that time and he left his home and went to Ahmedabad, the capital city of Gujarat. Narendra Modi is known to have completed his schooling in Vadnagar, Gujarat, which is also his birth town. Although an average student, Narendra Modi always showed a lot of interest in participating in theatres as well as in debates. He was always good at debates and was also known in his school for the same reason. We now know that Narendra Modi had this excellent skill of public speaking from his very childhood. Not many people know that Narendra Modi also has a Bachelor degree in the Bachelor of Arts in the Political Science stream which he acquired in the year 1978 from Delhi University. He achieved it through the school of open learning. Besides, in 1983, he also received a Master of Arts in the Political Science stream as a distance learning student from Gujarat University. When Modi was just eight years old, he got introduced to the RSS and the association would continue for long. He also attended a lot of training sessions that was arranged by the organization. As part of the RSS, he got an opportunity to travel in different parts of the country. He became the full-time member of the organization in the year 1971. Young Modi came from a very humble background where he helped his father is running a tea stall. However, a major change came to his life when the eight- year- old Modi was introduced to the RSS. It was here that his political career just seemed to begin. Later on, due to some family issues, he ran to Ahmedabad. Modi is known to have joined the Bhartiya Janata Party (BJP) in the year 1987 and eventually became the national secretary of the party. During the year 1975-1977, when the then Prime Minister of India declared an emergency in the country, the organization RSS was actually banned. At that time, Modi went underground to raise his opposition towards the government led by Indira Gandhi. After having joined the BJP, Modi had contested elections for Ahmedabad Municipal Corporations. He won this election. Modi also played a pivotal role in arranging the Rath Yatras for L.K Advani in Ayodhya and Ekta Yatra for Murli Manohar Joshi a year after that. It was under his leadership that the BJP gained much popularity in Gujarat, which also helped him become the Chief Minister of the state in the year 2002. During his tenure as Chief Minister, Modi was accused of the 2002 Gujarat riots. However, he was later found not guilty by an enquiry conducted by the supreme court of India. He achieved a lot of success during his leadership in Gujarat and that stint helped him become the Prime Minister of the nation in the year 2014. In 2014, he was BJP’s candidate who would run for Prime Minister in the Lok Sabha elections. 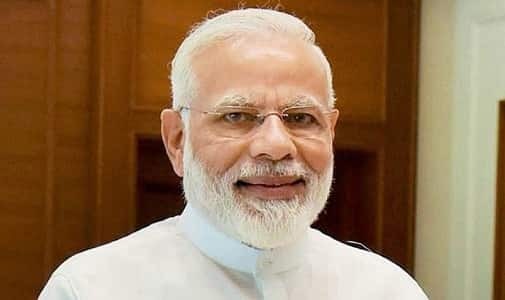 That year, his party won a historic 282 seats out of a total of 534 seats and Narendra Modi was announced the Prime Minister of the country, which he still continues to be. Narendra Modi became the 14th Prime Minister of India on the 26th of May 2014. To begin with, Modi has travelled across the globe in different parts of the world trying to attract foreign businesses so that they could set up their business in India. He launched a “Make in India” campaign for this purpose. He also, through his Swachh Bharat Campaign has sought to make India a clean country. The programme mainly focuses on creating millions of toilets so that the problems caused due to open defecation can be resolved. Modi has also been participating in a number of foreign policies which include the likes of ASEAN, BRICS, amongst others. Modi is also credited to reform the tax structure of the country when he brought about the Goods and Services Tax. This tax also known as the GST, was replaced by 17 other taxes and cam into effect on the 1st of July 2017. In 2017, the Indian Prime Minister also started a programme to build as many as 100 smart cities within India. One of the major works that he and his government did was the much-debated demonetization on the 8th of November 2016. As part of this programme, the government had banished the use of the then existing 500 rupees and 1000 rupees note. This was done just overnight and the objective behind this was to counter the problem of black money as well as bringing about a sense of digitalization among the common masses. The Indian Prime Minister has, through his term, has developed a number of policies related to good governance, better education, better and safe environment amongst others. He is towards the end of his 5-year term and experts across the world belief that he is one of the most powerful leaders that India has ever had. Narendra Modi follows the Hindu tradition really closely. Navratra is something that he never misses, and even if he is on a tour during the nine days of this Hindu festival, he always observes a fast. Another interesting fact about our present Prime Minister is the fact that he was the chief Minister of Gujarat for 13 years and in those 13 years, he never took a single leave.